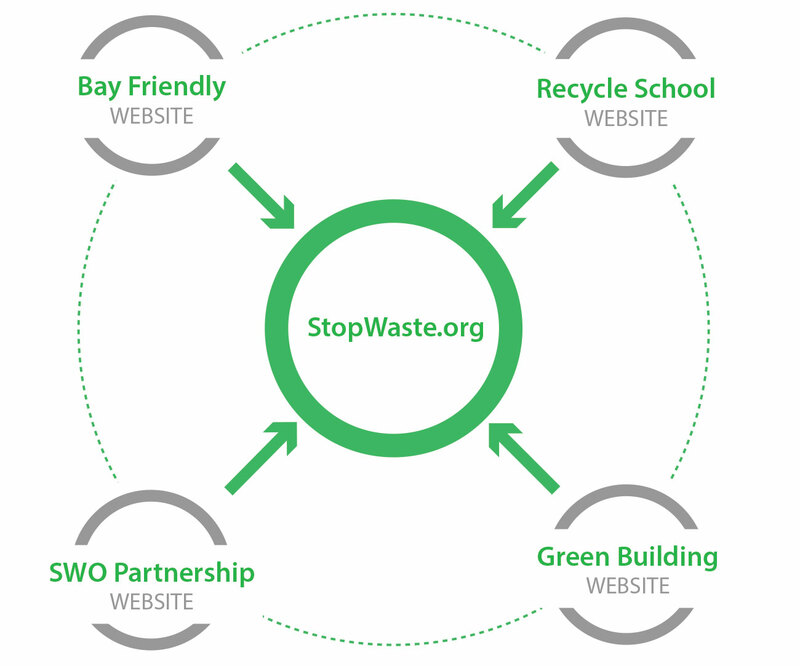 StopWaste is a public agency in Alameda County, CA, dedicate to inspiring and educating residents and businesses to reduce, reuse and recycle. For years, each StopWaste program manager created and maintained their own individual websites resulting in a disparate array of information, a complete lack of brand presence and perceptions by the public that the organization was a government watchdog or a garbage company. Marker Seven created a single digital destination to serve multiple users and initiatives with a sophisticated information architecture that supports the brand and communication goals of StopWaste while serving effectively serving the needs of both external and internal audiences. To consolidate the various properties into one site required an understanding of StopWaste’s target users and how programs are run internally. We embarked on a comprehensive planning phase to interview real users and worked with program managers to organize content according to the user experience, build consensus along the way for a streamlined editorial process. Multiple sites built on a proprietary CMS had become expensive to maintain and difficult to modify so we consolidated thousands of pages into a single architecture, migrating content to a flexible framework built on Drupal. The open-source CMS platform made it much easier for the client to add and modify content while also accommodating future initiatives. StopWaste had a large editorial team with a range of technical expertise that needed to contribute to the site, so we implemented an authoring process that allowed customized access levels for content contributors and oversight in the editing, reviewing and approval process. 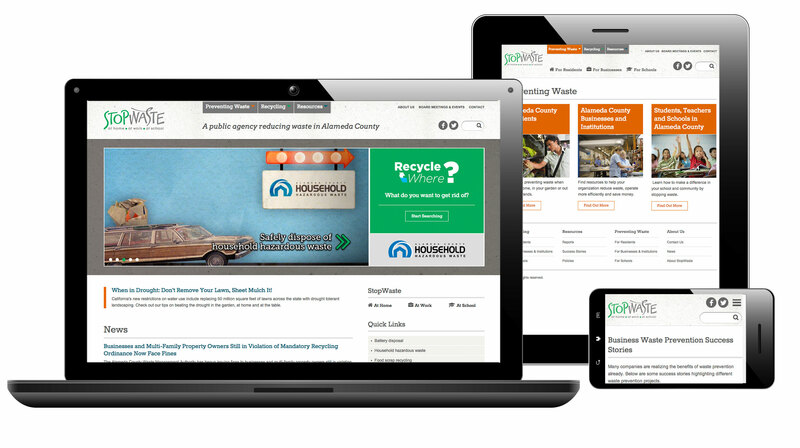 A longtime leader in the public works space, StopWaste loved the idea of a thoroughly modern digital experience. Because the site was so content dense, we recommended adding more visuals and created a layout on a responsive grid. The result is pleasing experience across devices and a simplified navigation on smaller devices that still allows access to every page.